Austin City Limits welcomes back two true Texas originals: Grupo Fantasma on June 28 & Hayes Carll on August 30. 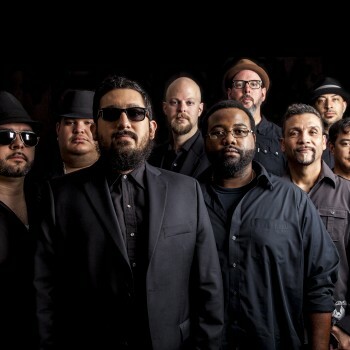 Although Austin’s music scene changes constantly and rapidly, one band that endures and continues to evolve is the Grammy-winning Grupo Fantasma, who first appeared on ACL in Season 33 in 2007 and returned for 2015’s Hall of Fame Ceremony. Last year marked the 15th anniversary of the powerhouse Latin funk outfit’s first show and the release of their widely-acclaimed sixth album Problemas. Longtime favorites of music icon Prince, the band served as his on-call backing band for many years, appearing with the superstar on stages from Coachella to the Golden Globes. Praised as one of the most important independent acts in the Latin genre, they are widely known for their energetic live shows, which NPR describes as “seamless…whenever and wherever they’re on stage.” For Problemas, the nine-piece band decided to break from their DIY tradition of self produced albums. The band approached Los Lobos’ Steve Berlin, someone they knew would be a well-seasoned and sympathetic producer and, as a fan, eager to work with them. Berlin states,”I see Grupo Fantasma as a bar-setter, not just for Latin music but in popular culture. Their effortless ability to shift from being one of the finest Latin bands around to one of the baddest funk bands alive and back is a rare and beautiful thing. The record we set out to make was our effort to codify that idea, and I think we succeeded. These guys are the absolute best at what they do.” This special taping will also include performances from the band’s all-funk alter ego Brownout and founding former member Adrian Quesada. 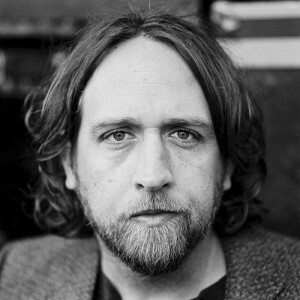 “A wry Texas troubadour with a knack for crooked grace and a clever turn of phrase” (New York Times), singer/songwriter Hayes Carll returns for his second appearance, having first graced the ACL stage in Season 36 in 2010. The recipient of two Song of the Year awards, including the Americana Music Association’s for “She Left Me For Jesus” in 2008 and American Songwriter for “Another Like You,” in 2011, the Woodlands native picked up a 2016 Grammy nomination for Best Country Song via LeeAnn Womack’s recording of his “Chances Are.” All of these experiences were just the warm up, however, for Lovers and Leavers, an album Paste calls “the finest of his career.” Produced by Grammy-award winning producer and musician Joe Henry (Glen Hansard, Emmylou Harris, Bonnie Raitt), the 10-track album was recorded live over five days in L.A. during the winter of 2015. 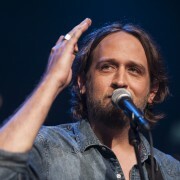 Of the album, which was partially inspired by his own life, Carll reveals, “I didn’t have one song that I knew would be a sing along or would make people dance. I felt vulnerable in a way that I hadn’t in a long time. But I got what I wanted – a record with space, nuance, and room to breathe. It felt right for my art. It felt right for my life. Lovers and Leavers isn’t funny or raucous. There are very few hoots and almost no hollers. But it is joyous, and it makes me smile.” The Austin Chronicle calls it “a startlingly personal set of songs, powerfully stripped back from the raucous, clever narratives that have been Carll’s hallmark.” Lonestar Music enthuses that the album “perfectly captures the phases and stages of falling apart, facing the truth, falling in love and facing the fear and finding one’s heart in the process,” concluding that Lovers and Leavers is “tentative, doubtful, shaky, mournful and yes, wonderstruck.